Come close to dolphins, whale sharks, humbpack whales and manta rays on ocean safaris. 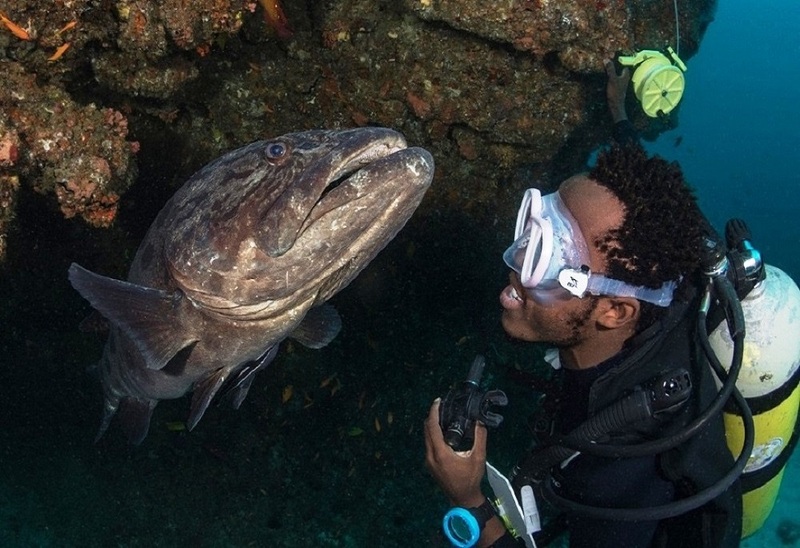 A once in a lifetime experience during your Mozambique travel. Tofo scuba diving and snorkeling means swimming with the most amazing gigantic megafauna you will ever encounter in your life. Get ready to swim with enormous whales sharks, sharks, 2 species of giant manta, many stingray species – including the extremely rare smalleye stingray, dolphins and humpback whales during winter season. One of the highlights of the journey is without a doubt an “Ocean Safari” in the Indian Ocean. After a short introduction, you will head out in a boat and snorkel with whale sharks, dolphins, manta rays and humpback whales. 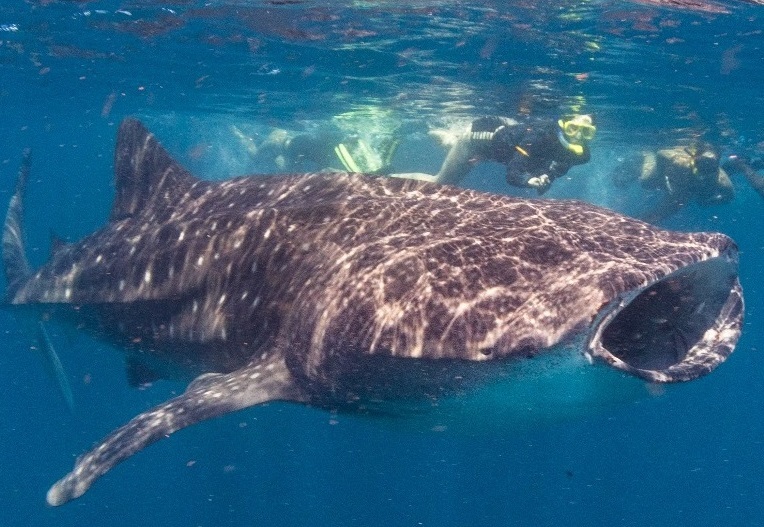 Whale sharks are spotted off the coast of Tofo all year round due to deep-sea plankton wealth. Humpback whales can only be spotted from the boat between July and November. 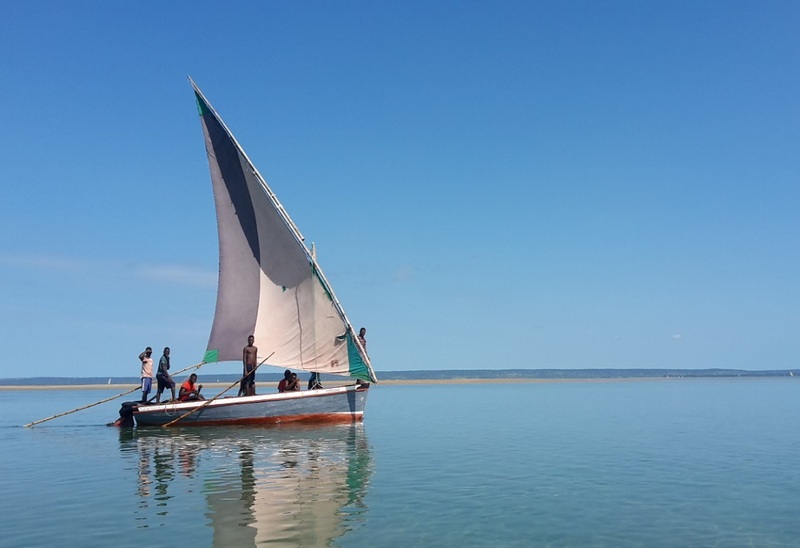 It is a truly unique way to experience a real slice of African island life. Diving in Tofo means swimming with the most amazing gigantic megafauna you will ever encounter in your life: Enormous whales sharks, sharks, huge giant mantas, dolphins and humpback whales. Plus, in Tofo you will find all 5 species of turtles, 2+ species of dolphin, 2 species of manta, many stingray species (including the extremely rare smalleye stingray), many species of shark. Including all equipment, light lunch, water & 1 hour surface interval Ocean Safari. Relax in a truly peaceful and cosy environment with a huge veranda and lounge overlooking the ocean. With only six rooms and plenty of space, this guest house will never feel crowded. Coffee and tea are free on the upper-deck veranda. Free WiFi (up to 500 MB per day) available on the upperdeck. It is only a short walk away from the dive shop where all the fun happens.